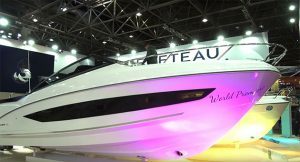 The all-new Princess F45 made its global debut at Düsseldorf and we were one of the first magazines to jump on board with the camera rolling. 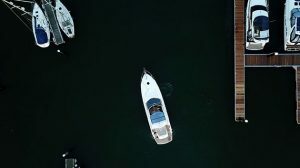 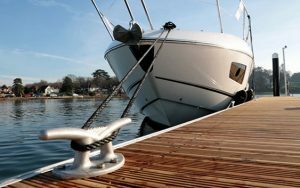 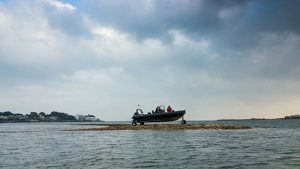 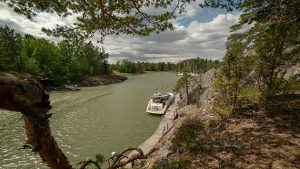 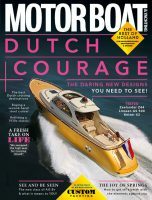 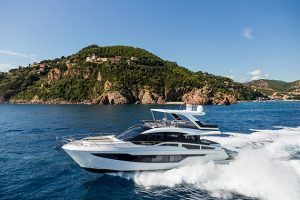 This is an important boat for Princess as it is the gateway to the flybridge range, replacing the 43 which was – essentially – a face lifted 42, albeit a very successful one. 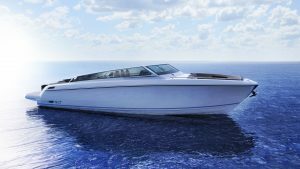 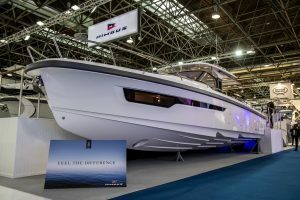 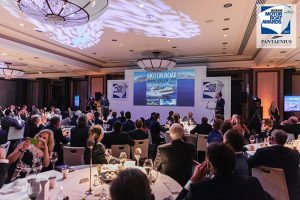 The F45 is new from the keel up though, and only the second Princess flybridge model to sport IPS (IPS600 in this case, good for a top speed of 31 knots). 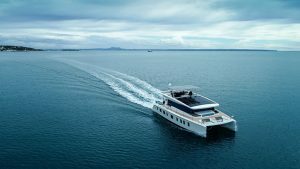 With the engines tucked way aft in the hull there is space on the lower deck for two spacious double cabins and a pair of bathrooms, the big news being the inclusion of a full-beam master suite amidships. 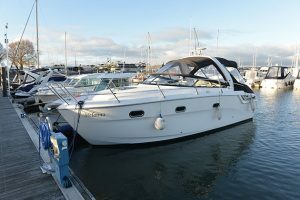 Headroom is tight but there is space for a large island berth, plentiful storage – including a spot for a washing machine – and a beautifully finished ensuite bathroom. 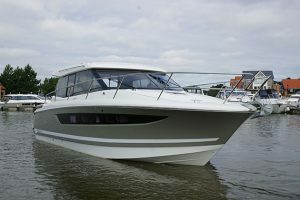 The 43’s galley down layout is no more; instead the galley is on the main deck, positioned just inside the cockpit doors with easy access to the large dinette amidships and the L-shaped seating in the cockpit. 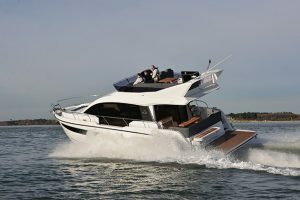 With just over 47ft to play with the flybridge isn’t huge but it’s well designed and features a twin helm, adjustable sunpad, wetbar and dinette. 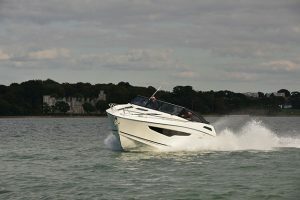 The starting price is steep but the F45 feels a quality product, built with no less care and attention than larger and more expensive models in the Princess range.